You can choose how you want Driver Easy to connect to the Internet. 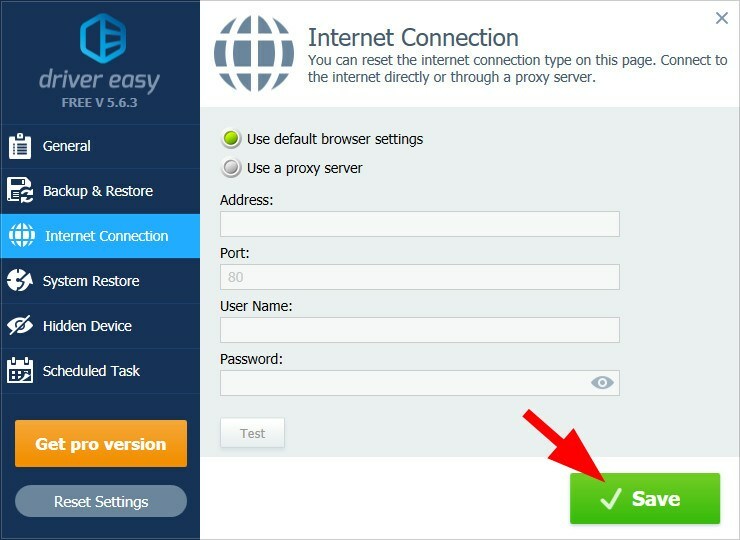 By default, Driver Easy uses the Internet Explorer settings to access the Internet. But you can still change this to using a proxy server. 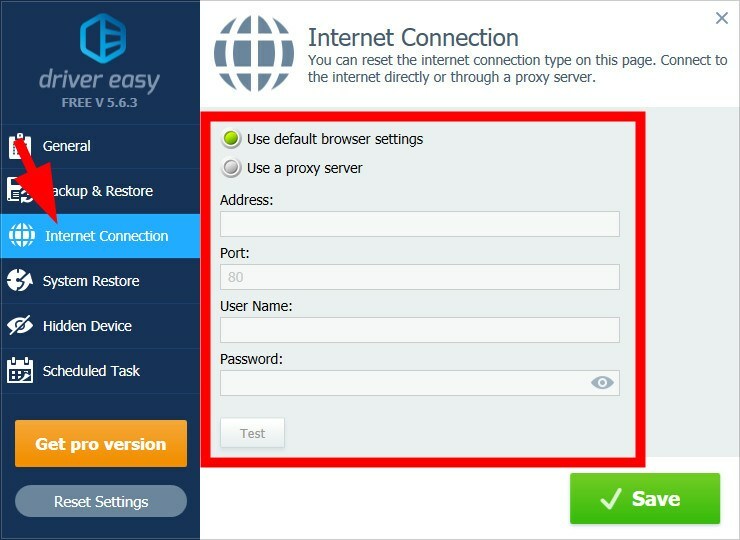 2) Click Internet Connection, then edit the connection settings of Driver Easy. 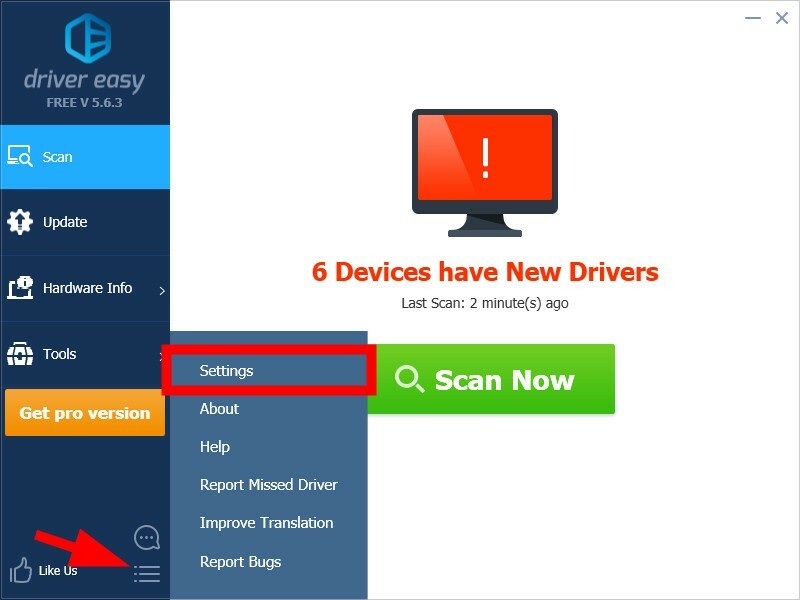 Driver Easy uses the Internet Explorer browser settings by default. If you want to use a proxy server, you need to enter the server address and port, and the user name and password you use to log in. 3) Click Save to save your changes.